The Miracle League is a baseball league that gives boys and girls ages 4-19 with special needs and disabilities in Greenwood and surrounding counties an opportunity to play. Our motto is “every child deserves a chance to play baseball.” All games are played at the Burton Center on a special rubberized field with the spring season beginning April 5, 2014 and running through the last Saturday in May, 2014. We currently have four teams: Braves, Dodgers, Red Sox and Yankees. All players are furnished with major-league replica shirts and caps. 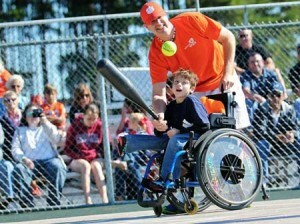 Please visit our website at www.greenwoodmiracleleague.com, or call Andy Lyle at The Burton Center (864)942-8905 for further information or to register your child. Registration is underway for our spring 2014 season. 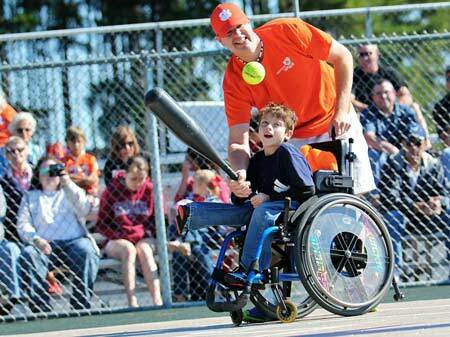 The Greenwood Miracle League is supported by donations from local businesses and individuals. We would love to hear from you.